I recently told you that my book, Changing My Mind: Reinventing Myself In Retirement, would soon be making its world debut. I’m happy to announce that you will be able to order your very own copy starting on May 19, 2018. You can get your hands on this hot commodity by visiting my direct-to-reader sales website. I will give you the address when the website is up and running. The book will be available in paperback and electronic editions. You can also get the paperback and electronic versions at the Amazon and Barnes and Noble websites, but I hope you’ll go to my direct-to-reader site and order there because then I get to keep more of your money! I have spent a lot of time trying to think of a graceful way to say that, but, as you can see, I have failed. In addition to my greed, the other good reason to go to my direct-to-reader sales page to buy this masterpiece is because I will be offering you, my far-flung blog friends, a special discount code to use when ordering. My book release is a momentous event in my life and I want to celebrate. More specifically, I want to celebrate with you. I will be hosting a launch party on Saturday, May 19, 2018, and would like you non-local folks to join us virtually. The event will be from 4:00pm-5:00pm EDT. If you would like to join us, please send me an email at terriretirement@gmail.com. I will provide you with the information you need to call in and celebrate with us. I also plan to have my lovely assistant take photos during the party and send them out to you in real time. Please let me know in your email if you are okay with me providing your address to said lovely assistant so she can include you in the photo frenzy. I have some activities planned that everyone in the room and everyone on the call should enjoy. There will also be an opportunity to win a fabulous prize. Well, kind of fabulous. There will be limited phone lines available for the virtual party, so please email me your interest as soon as you know you want to attend. I hope that you will be able to participate. Please stay tuned to my blog for the website and discount code to use when ordering book copies. Because I am incredibly socially awkward and insecure, I will be offering an extra discount for those people who attend the launch party. I am sure that will incentivize crowds of crazed fans to participate! Or, maybe, at least one or two people who are mildly fond of me. Either way, I’m good. As always, thank you all for your support and encouragement. In addition to celebrating the launch of Changing My Mind, the party will celebrate all my friends- all of you- because, even if you are miles away, you are all close in my heart! What do you think about the idea of a virtual launch party? Please share your perspective by leaving a comment. In the alternative, you can email me at terriretirement@gmail.com. If you would like to attend the virtual launch party, please email me soon to receive the call-in info! Have a day worth celebrating today! 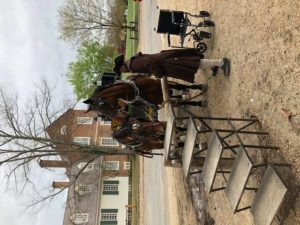 Author TerriPosted on April 25, 2018 April 25, 2018 Tags Changing My Mind, Changing My Mind: Reinventing Myself In Retirement, launch party, retirement lifestye blog6 Comments on A Day To Par-tay!!! Yes, I thought we’d play a game this week. Let’s see if you can figure out where I am. I’ll give you a couple of clues. I spy with my little eye…. 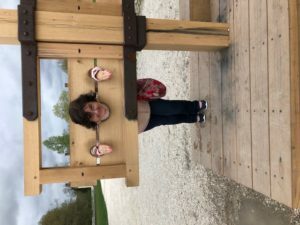 Where oh where has Terri LaBonte gone? Please share your guess by leaving a comment. In the alternative, you can email me at terriretirement@gmail.com. Have an playful day! I’ll be back next week with news about how you can get in on the Changing My Mind: Reinventing Myself In Retirement book launch celebration! Okay, I’ve been working on this for more time than I wanted to invest and have still not been able to get the pictures to stand up straight. Heavy sigh. 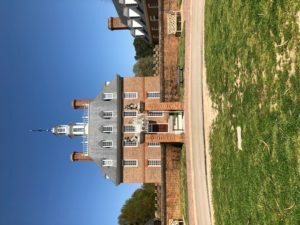 Anyway, I saw the Governor’s Palace, a pillory, and a pair of Percheron mix horses in Colonial Williamsburg!!!! I’ve always enjoyed a good Easter egg hunt. I have a picture of myself at age seven in which I am climbing to the upper branches of a tree in search of an Easter egg…. Sort of like the Easter egg that shows up quite obviously in the picture at the fork of the tree. Talk about people unclear on the concept. I would have had to actually climb over the Easter egg in the fork of the tree to reach the position where I was. In the picture, I am hanging upside down from a tree branch at least twice as far from the ground as the egg. I have no idea how I ultimately managed to get down from that tree. And I have no idea why anyone was taking a picture rather than untangling me from the treacherous tree branches. You see, I have never done things the easy way. Why collect the egg that is right in front of your face when you can risk life and limb (mine and the tree’s) to look for one that may or may not exist? Anyway, this story simply demonstrates that Easter egg hunting and I go way back. Still, it has been many years since I participated in the sport. Last week, I decided to get back in the game. Max and I went to Epcot to hunt up some eggs. The Epcot Eggstravaganza is a really cool activity. The magic-makers at Disney hide large plastic eggs decorated to look like different characters in locations around the park. You can purchase a set of stickers that correspond to the egg characters and a map of the area. When you find one of the hidden eggs, you affix the correct sticker onto the map indicating the location where you found that particular character egg. After you complete your quest, you can take the map to Egg Central and get a prize- a miniature plastic egg decorated like one of the eggs hidden in the park. You may think that a miniature plastic egg decorated to look like Minnie Mouse is not that great a prize for an activity that took Max and me about two and a half hours to complete. Maybe. The egg was cute and it is sitting on a little knick-knack shelf in my living room to remind me of my fun day pretending to be seven again. Still, this prize itself certainly does not merit the excitement I put into the event. As it turned out, the real prize of the Easter Eggstravaganza was the egg hunt itself. In searching for the twelve eggs, we wandered all over the park slowly and deliberately. Instead of rushing along with the crowds or obsessing about FastPass reservations, we were looking at everything. We saw things that we had never seen before, despite MANY trips to Epcot. The hunt was a little challenging, but not hard enough to be frustrating or demotivating. Max and I both got into the chase. When one of us spotted an egg, both our faces exploded with smiles. We were absurdly giddy each time we posted another sticker on our map! We found all twelve eggs with only one little hint for the one hidden at the Mexico pavilion (SPOILER ALERT: It is inside the building!!). 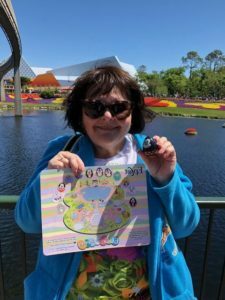 When we took our map to Egg Central, I proudly claimed my little Minnie egg and we took pictures of the completed map and prize. Of course, as a Christian, I don’t normally believe that Easter has all that much to do with eggs. For me, Easter is a celebration of Jesus’ Resurrection. We remember the all-loving sacrifice of our Savior and His triumph over death. It is our acceptance of the Redemption that His love won for us. Still, as I thought about our Easter egg hunt experience, I began to think that maybe God has His own Easter egg hunt planned for each of us. The life he provides is often filled with divine Easter eggs- little miraculous nuggets of total comprehension, joy, inspiration, or faith. They are the moments of clarity and bliss in which we learn something absolutely true about ourselves, our God, or our world. We don’t know where God’s Easter eggs are or when we are going to encounter them. Often, it seems that we most often find them in our desert moments when we really need something to heal us. Maybe something has happened to trouble us or hurt us or make us feel that we are lost. Then, we hear something or think something or see something that serves as an electric bolt of love striking directly to the core of our very selves. That might be one of God’s Easter eggs. And maybe they don’t really happen mostly in the desert moments. Maybe that is just when we are most open to finding them. God’s Easter egg hunt has a prize, too. His prize is much, much, much more wonderful than any little plastic Minnie Mouse. It is more wonderful than any prize you could ever imagine. When we get to the end of our hunt, we will bring Him our lives with all our little Easter egg moments attached. In return, He will give us an eternal life in His precious love. In the meantime, as we go through life, we should rejoice when we find our Easter egg moments. Happening upon these hidden messages from God is sure to enrich our lives. These moments are sure to expand our ability to demonstrate faith, hope, and love. God’s Easter eggs certainly merit a measure of giddiness. There is something else about God’s Easter egg hunt. The Easter bunny at Disney can only hide so many eggs. God can hide an infinite number of His eggs in our lives, if we just keep looking for them. Sorry about the hair; it was very windy that day!!! Have you ever experienced one of God’s Easter egg moments? Please tell us about it. Please share your perspective by leaving a comment. In the alternative, you can email me at terriretirement@gmail.com. Have a wonderful Easter! Blessing to you all! !